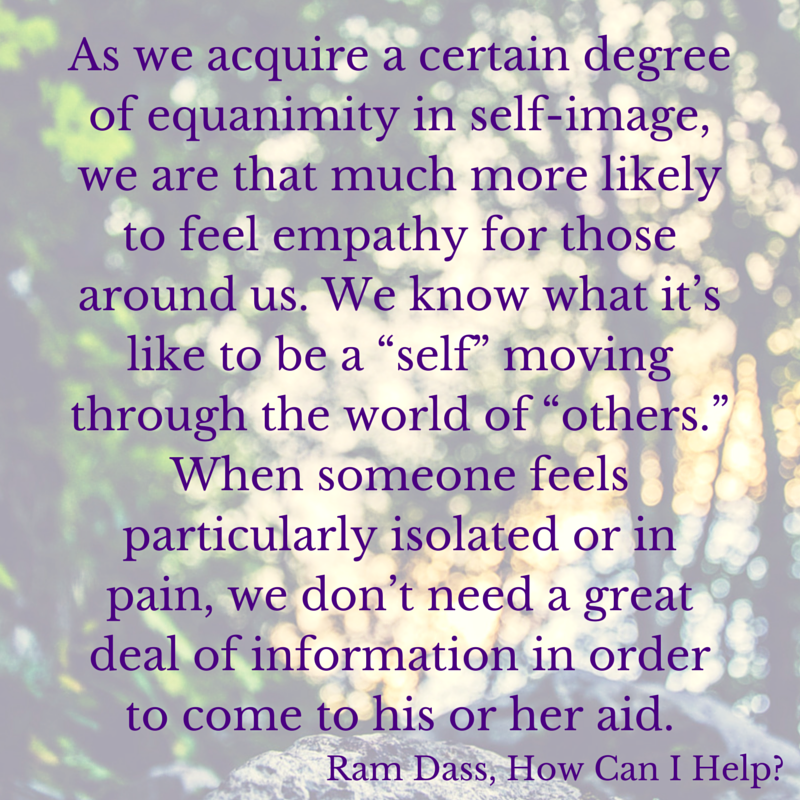 “How Can I Help?”, a book by Ram Dass and Paul Gorman, asks a critical question of potential Art Therapists/Counselors, others in the professions such as medicine, psychology, social work, the ministry, education, and humans in general. We read this book, which explores the topics of altruism and self care in the helping professions, in the Psychology of Altruism course at SWC. Certainly a glance at the evening news makes clear that people around the world are suffering (dealing with the stresses of economic, political, and other global issues, not to mention the stress of balancing work and life, dealing with life issues such as catastrophic illness or chronic pain or disease, divorce and relationship problems, unhealed trauma, whether childhood or adult, the psychological fallout after serving in the armed forces, etc.,) and need help. How can art therapy, particularly the Southwestern College M.A. in Art Therapy/Counseling program, help humanity? “A goal in art therapy is to improve or restore a client’s functioning and his or her sense of personal well-being. Art therapy practice requires knowledge of and skills in usage of visual art (drawing, painting, sculpture, and other art forms) and the creative process, coupled with application of theories and techniques of human development, psychology, and counseling,” indicates the American Art Therapy Association (on this page here). Art therapy typically involves one or more sessions where an art therapist facilitates a client in creating art relevant to their life or a particular life experience or issue. The creation of the art, the art-making process, may be therapeutic in itself or it may be art as psychotherapy in the sense that the art may help facilitate both an emotional catharsis and an epiphany. Making art may help clients understand themselves, their past experiences and how it affected them, past and current choices, and future options. A sense of personal well-being, improved or restored functioning, better self-understanding, and the ability to express intense emotional affect or feelings non-verbally, and/or mental and emotional clarity, are highly desirable outcomes that some people have experienced after doing art therapy. Compared to the field of psychology, and psychoanalysis in particular, art-based healing has occurred for millennium and is a powerful modality. An art therapy program involves training and education in the use of visual art creation and using art mediums as or within a therapeutic process. Often an art therapy education involves studying the history of art therapy, and its founders, as well as different approaches to art therapy (including Gestalt, Psychoanalytic, Person-Centered, and more). The thing is, many art therapy programs are just that… training and education in art therapy alone. Certainly tools and techniques in art therapy are incredibly valuable, yet art therapy without training in counseling, to my way of thinking, doesn’t offer the same opportunities to facilitate powerful client transformation and find career success post-graduation. I looked at many, many graduate programs, including several dedicated art therapy programs, before I selected and applied to one: Southwestern College in beautiful Santa Fe, NM. 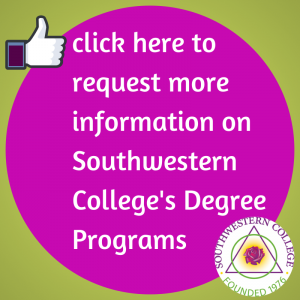 A Southwestern College dual degree in Art Therapy/Counseling means that, post-graduation, a graduate may sit for licensure as both an art therapist and counselor. Graduates of the Southwestern College M.A. in Art Therapy/Counseling will help others transform their lives through art therapy and counseling. How will you help? Art Therapy/Counseling Art Therapy Program Ram Dass art heals How Can I Help?